In St Audoen’s we practice a variety of relaxation exercises and techniques. We combine storytelling, yoga, stretching, breathing, brain breaks and visualisations. During these mindful times we often listen to soft, soothing music or use chimes or Tibetan Bells. Tibetan Bells or Singing Bowls produce sounds which invoke a deep state of relaxation which naturally occurs in meditation. A number of our staff have recently been trained in Story Massage. Story Massage combines the benefits of positive touch with the creativity of storytelling. It is a fun and therapeutic sensory activity; it is gentle, respectful and encourages positive touch in school, home or wider community. 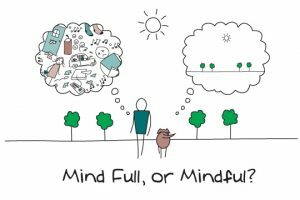 Parents, ask your child about our Mindfulness time and you will be sure to hear how much they enjoy it.